Fangirl Review: Valiant’s BRITANNIA #1 Enters Uncharted Territory with Fourth Printing in January! 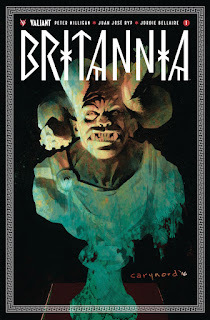 Valiant’s BRITANNIA #1 Enters Uncharted Territory with Fourth Printing in January! With nine sold-out printings burning up shelves before the much-anticipated finale hits stores this week, it’s not too late to find out why Valiant’s psychological and terrifying journey to the farthest reaches of the Roman Empire is one of the year’s most unexpected hit series! Valiant is proud to announce that BRITANNIA #1 (of 4) – the FIRST ISSUE of Valiant’s prestige format phenomenon from comics master Peter Milligan (Detective Comics, X-Force) and incendiary artist Juan Jose Ryp (Ninjak) with multiple Harvey Award nominee Raul Allen (Wrath of the Eternal Warrior) – has once again sold out at the distributor level and will return to store shelves with the BRITANNIA #1 (of 4) FOURTH PRINTING on JANUARY 4th! Following sold–out printings on every subsequent issue of Valiant's critically acclaimed series released thus far – including the BRITANNIA #2 SECOND PRINTING and BRITANNIA #3 SECOND PRINTING – the shocking debut issue that stunned readers everywhere is marching back to comic shops yet again with an astounding fourth printing! Valiant’s darkest and most haunting series to date is here...and it’s a runaway hit! In the tradition of DIVINITY and WAR MOTHER, witness the bold introduction to Valiant’s breakout protagonist of 2016, Antonius Axia, with a visionary journey that will send the ancient world’s first detective spiraling into the darkest depths of myth and mystery! On January 4th, the age of BRITANNIA soldiers on as Milligan, Ryp and Allen’s bloody masterpiece returns for your latest chance to jump on board! 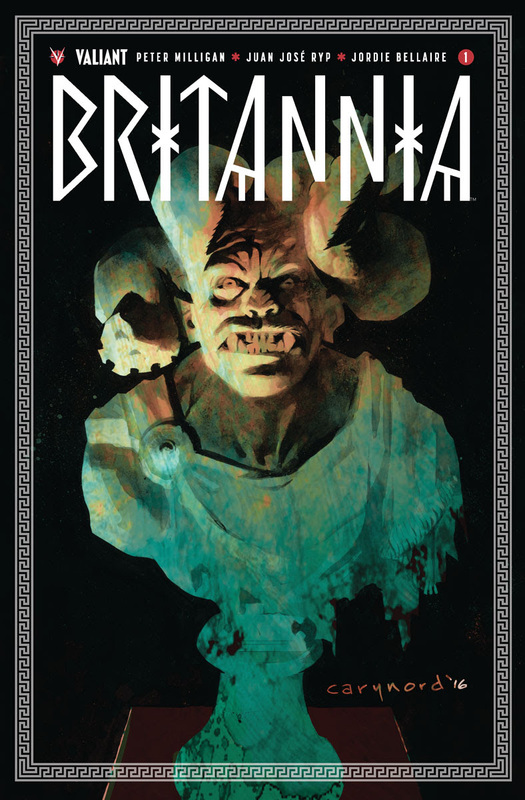 A phantasmagorical journey into death, destruction, and desire await history’s first detective, only in the BRITANNIA #1 FOURTH PRINTING!